When God gave Israel the law through Moses, and the Jews agreed to keep those many commands established in the Old Covenant, it was meant only for that race and nation who would be called God’s people at that time. 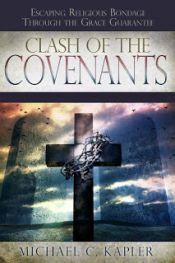 The law had never been given to us Gentiles, who were considered unclean, far off and separated from God without a covenant. 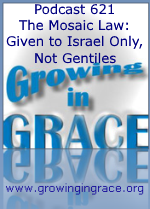 After the New Covenant was established by Jesus Christ, Gentiles were coming to God by faith in Jesus, and the leadership from the church in Jerusalem agreed that Gentiles would not need to be troubled or burdened with what their fathers had been unable to bear under that heavy and impossible law. Plus, the Jews who had been under the law were made free from it, and became dead to it as they married another and became the bride of Christ. You can’t live by something that doesn’t give life. That’s why the old way had to be removed completely and replaced with a better covenant.